When I was pregnant with the Littlest Brewster, one of the main reasons that I was certain I did not want a daughter was that I would have no idea what to do with a girly girl. If I could be guaranteed a tomboy, then everything would be fine. Princesses and bows and pink, pink, pink – yeah, not really my thing. Then the Littlest Brewster made her debut and I figured I’d just have to cope – and do my best to gently steer her away from all things girly and towards more of a balance. And I feel like we’ve achieved a remarkable sort of balance. For while LB is firmly entrenched in her love of all things princess, she still loves bugs and dirt and fire trucks. 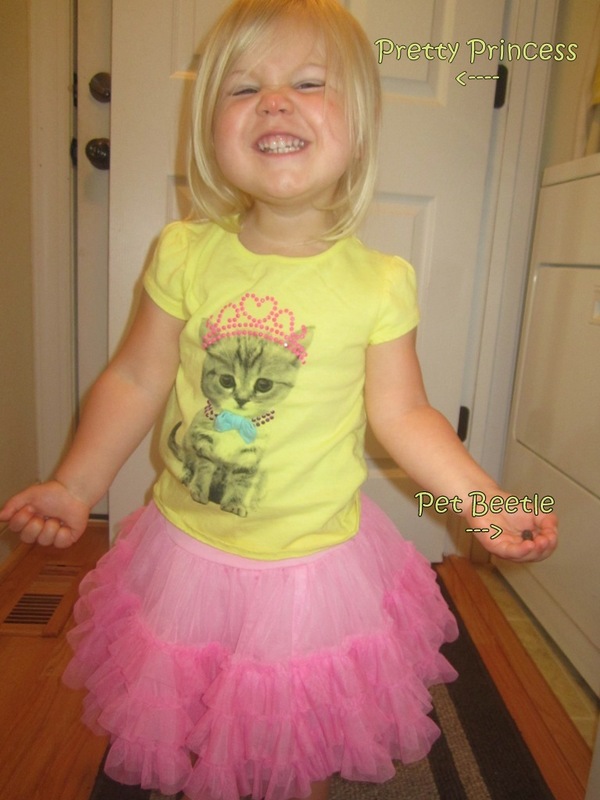 This entry was posted in Babies and tagged Bugs, Girly, LB by BrewsterMama. Bookmark the permalink.